taken in the Coach House Restaurant. Special accommodation rate of £75 per room for two people including of bed and breakfast if booking and taking a three course dinner (10% discount applies). This offer is not available on Friday and Saturday evenings and is valid until Thursday 2nd May when it will be reviewed. 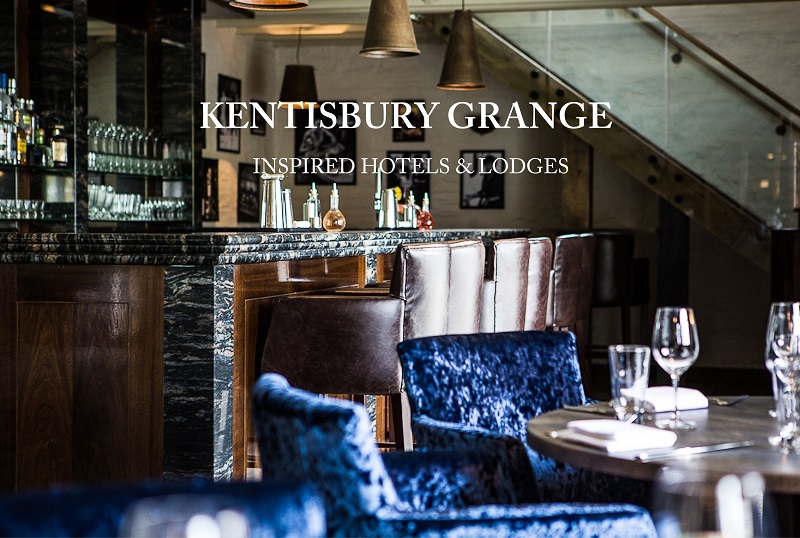 Kentisbury Grange – where classic British heritage embraces contemporary luxuries with style, romance and informal elegance. Beautifully restored to its distinguished best this fine Victorian country house hotel is an inspiring blend of glamour, history, nature and indulgence. From the picture perfect setting in the idyllic North Devon countryside to the fantastic Coach House restaurant; from the quintessentially English charm to the relaxed and personable service, Kentisbury Grange is the ultimate chic retreat, romantic getaway and luxury country escape all rolled into one. The Coach House is led by Thomas Carr, a talented young chef who was born and bred in Devon. He has gained an extensive knowledge of local produce and its importance while acting as Head Chef at Restaurant Nathan Outlaw when it was awarded its two Michelin stars. The restaurant’s seasonal menu is a reflection of Devon’s abundant harvest for which Thomas has sought out some of Devon’s premier farms and coastal waters to ensure quality will be at the forefront of all his perfectly executed dishes.